Pony E-News: Welcome back to school! Warm welcomes waiting for you! The first day of school will be anything but typical for students entering sixth and seventh grade at the middle school, and ninth and tenth grade at the high school. Instead of attending classes, the new students will be meeting new friends, getting familiar with the school, and learning the ropes from upperclassmen serving as mentors. Read more about the WEB (Where Everyone Belongs) orientation program at the middle schools. Watch for a video highlighting Link Crew, the high school orientation program, next week! "Today is where your book begins"
The district looks very different as our grade configurations have changed, four schools have closed, a new school has opened, and hundreds of students and staff are in different buildings. This week marks a new beginning for many students, families and staff. Check out this video recognizing the start of a new year. Home is where the Pony is! Homecoming 2017 is gearing up to be one of the biggest and best ever! Mark your calendar for the first-ever Pony Homecoming Carnival on Friday, Sept. 15 from 4-6:30 pm, featuring games and activities, music performances, food trucks and concessions, and much more. Order your official Homecoming 2017 t-shirt today! 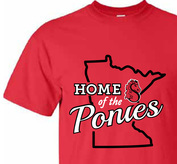 The t-shirt celebrates Pony Pride and reminds us all that home is where the Pony is! Fall sports and activities are in full swing! Check out our brand new website – goponies.org – for all things high school athletics, fine arts, clubs and activities. This easy-to-navigate website includes schedules for all of our high school sports team and musical groups, and details about the many clubs and activities offered to students. 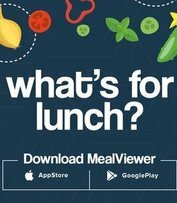 See what's on the menu, receive allergen alerts, and keep track of carbs, calories and more with the new MealViewer system. Also new this year, families can download a mobile app to track their bus. The Versatrans MyStop app compares GPS data to routing data to give families information as to where their school bus is located and what time it is expected at their stop. More information about the app can be found on our website.